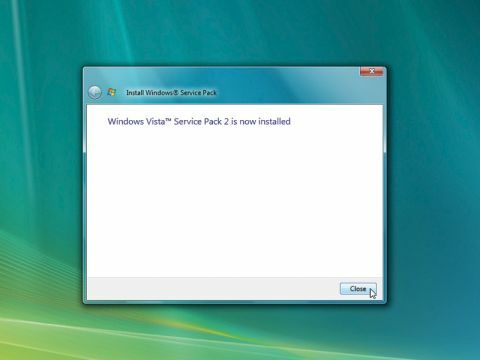 Is Service Pack 2 enough to stop everyone abandoning Vista for Windows 7? It's not exciting, but who's complaining about an improved OS? On first launch, SP2 complained that we had to remove Swedish language support before it could continue. There were no further hassles though, and 33 minutes and two reboots later, the service pack was installed. Small visual changes include a permanent Bluetooth applet in the Control Panel, a new Indexing option or two (if you didn't have Search 4) and Blu-ray disc format options. Otherwise, SP2 Vista looks much like SP1. Our performance tests showed that boot and shutdown times weren't significantly affected. Browsing over time felt a little snappier, though. The best results appeared with a couple of external USB drives, which copied large files around 10 per cent faster. Curiously, another drive's performance didn't change – so your mileage may vary. SP2 isn't exciting, then, but it improved our PC's performance just a little – and if you're currently experiencing any Vista-related problems then there's a possibility it'll do the same for you.